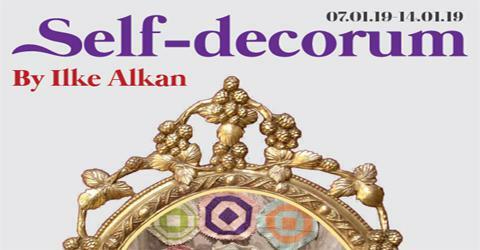 FASSArt Gallery is pleased to announce artist-curator Ilke Alkan’s first solo exhibition, ‘Self-Decorum’ in Sabanci University, Istanbul. To briefly mention her art education background, she has BA and MA degrees from Sabanci University, as well as an MA degree from UAL:Chelsea College of Arts. In her show ‘Self-Decorum’, she presents 30 artworks from five different series in the fields of photography, painting, video, installation, sculpture and finally an intervention. Her show aims to address viewers from every aspect possible. In the show, the most emphasized theme is the rose flower. 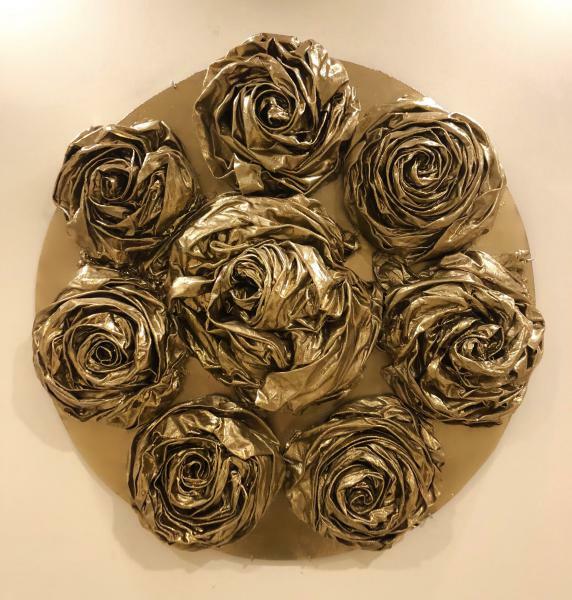 You will be welcomed with golden and silver rose sculptures all around the gallery. The main reference being Greek mythology, the rose is associated with Aphrodite, the Greek goddess of love and beauty who was often depicted adorned with roses around her body. As an artist, Ilke often refers to mythology in her works. Her character and tendencies in life are also similar to Aphrodite, she has her own sense of beauty, a sense of decorum she has created. Thus, her artistic concepts are inspired by the notion of selfperception, decorum and love. We can see a strong reference to love in her installation ‘Patience’ where we see it is percieved in a different way. Her beloved grandmother’s love for a dead son and her pain ended up with disegno, presenting colorful washclothes and their installation within the Gallery space as well as a Turkish bath. Regarding the self perception of beauty, this resulted in her selfie photography series, based upon the idea that only the individual can know which angle, position and moment is the most beautiful of themselves. Selfie-taking is addressed through a perfomance, referring to Tableaux Vivants - reaching the right moment and then letting go. 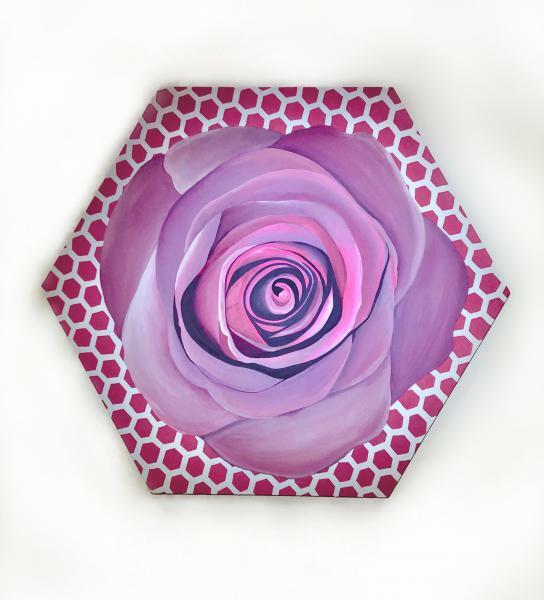 In her ‘Glamour Painting’ series, she paints and transforms the patterns with her hands into more abstract results. The paintings are not done by sketches, but by the intimacy between the fingers and the canvas whereby it becomes like a meditative performance that affects the overall result. All through the painting, she does not remove her hand from the canvas in order not to lose the connection. She knows when the painting is over the moment she wants to remove her hand, the moment she is satisfied - just like when Jackson Pollock knew a painting was over for him. Finally, her last series consists of paintings and sculptures referring to the idea of how consumption overrides real love and beauty. She emphasizes her own tendencies and an increasing demand for the most luxurious and beautiful, also showing that great expectations end up with great disappointments. To finalize, you will be witnessing a show of an artist-curator who prefers being involved in her own art from every aspect. To her, art is herself and she relies on her inner tendencies to produce art. Thus, those invited to this exhibition at Fassart will not only be seeing artworks but also living/witnessing an artful character.